There’s something for all ages and interests in and around Chicago. Just dress for the weather. After all this is Chicago. There is just a short time left to catch the awarding- winning actors, playwrights and shows is Victory Gardens’ Up Close & Personal series. Begun April 27 and running through June 4, 2017, the series features three plays. “A Little Bit Not Normal,” written and performed by Arlene Malinowski, can be seen at 7:30 p.m. May 20 and 21. 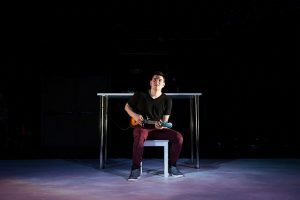 “Where Did We Sit on the Bus,” written and performed by Brian Quajada, is at 3 p.m. today, May, 20, and June 2 and at 7:30 p.m. May 24, 26, 28, 31 and June 4. “St Jude,” written and performed by Luis Alfaro is at 3 p.m. May 38 and June 4 and at 7:30 p.m. May 25, 27, June 1, 2, and 3. The shows are in Victory Gardens’ Richard Christiansen Theater at 2433 N. Lincoln Avenue. For tickets and other information call (773) 871-3000 and visit Victory Gardens. Chicago-area storytellers share experiences in “Israel: Many Voices from and of the Land 3:30-r:30 p.m. May 21 at the DoubleTree by Hilton. Doubletree is at 9599 Skokie Boulevard, Skokie. Local theater and TV actor singer (Steppenwolf, Drury Lane, CSI: NY) Dan Tatar is the emcee. Tickets of $5 advance and $10 at the door (if available) include complimentary Middle Eastern hors d’oeuvres before and after the program. 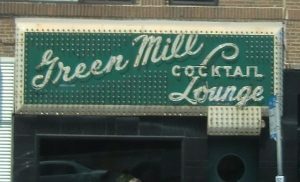 For advance tickets and other information visit Spertus and call (312) 322-1773. 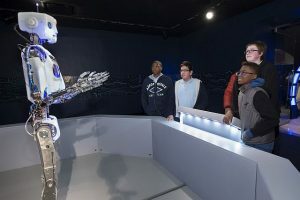 Interact with more than 40 robots at the Museum of Science and Industry’s Robot Revolution now through Feb. 4, 2018. Organized by the museum in 2015, the popular exhibit is back to have fun with Chicago area youngsters and adults following a highly touted tour. However there are also new robots such as Cube Solver that can do the Rubik’s Cube. But be sure to visit with RoboThespian, a humanoid robot that greets guests at the entrance and talk to Omron LD Mobile robot who roams the exhibit. Watch Soccer ‘bots play an autonomous competitive game and challenge Baxter, an industrial robot, to a game of tic-tac-toe. Visitors can also build their own robots with Cubelets. Chicago Craft Beer Week started May 18 but goes through May 25, 2017 and it’s not only inside the city limits. 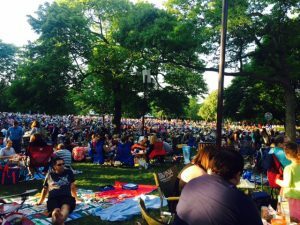 Beer events are also in Itasca, Antioch Lindenhurst, Plainfield, Lisle and Oak Park. They are also happening in Aurora, Evanston, Buffalo Grove, Darien, Romeoville, Glen Ellyn, Mokena and Schaumburg. To find an event near you on the date you want visit Chibeerweek and click on the date. OK, it’s raining Saturday, May 20, 2017 when the city celebrates its new fun area along the Chicago River next to Wacker Drive and Michigan Avenue. But you can also check it out any day. The May 20 events go from 9 a.m. through 9 p.m. Visit Riverwalk for event schedule and suggestions. The good news is that Chicago is an arts mecca. 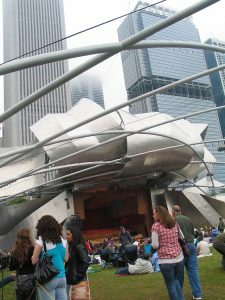 The problem news is that Chicago is such an arts mecca that it is arguably impossible to catch all the terrific music, art, dance, theater and exhibits offered in the city and suburbs. Listed here is a sampling of really good events that might not have made it to your arts radar. Comedienne extraordinaire Rita Rudner will be on stage at the North Shore Center for the Performing Arts, 8 p.m. April 21. A regular act at The Venetian in Las Vegas, Rudner is also a screenwriter, best-selling author, actress and playwright. For tickets and other information call (847) 673-6300 or visit North Shore Center. The North Shore Center for the Performing Arts is at 9501 Skokie Blvd., Skokie. Philip Glass has fictionalized Walt Disney’s final days as an opera. Composed of dreams and nightmares revolving around the fate of his kingdom and legacy, it includes recognizable people. The Chicago Opera Theater is performing the Chicago premiere of ‘The Perfect American’ at the Harris Theater for Music and Dance Saturday at 7:30 p.m. and Sunday at 3 p.m. The Harris is in Millennium Park at 205 E. Randolph Drive, Chicago. For tickets and other information call (312) 334 -7777 or visit Harris. The Lyric Opera of Chicago is bringing the famed violinist to the city for one performance. It is 3 p.m. Sunday at the Civic Opera House. 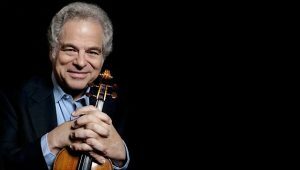 Accompanied by pianist Rohan De Silva, Perlman’s program includes Vivaldi’s Sonata in A Major for Violin and Continuo, Beethoven’s Sonata for Violin and Piano in F Major, Schumann’s Fantasiestuck, and Ravel’s Sonata for Violin and Piano No. 2 in G Major. The Civic Opera House is at 20 N. Wacker Drive, Chicago. For tickets and other information call (312) 827-5600 or visit Lyric. 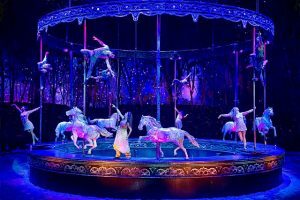 ‘Odysseo,’ a wondrous equestrian production visiting Chicago from Canada, that also includes acrobatics and aerial performances, has been extend through May 7. 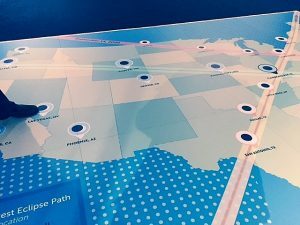 Drivers who have gone by Soldier Field or the Museum Campus will have seen the huge white tent where ‘Odysseo’ takes place. But what they might not know unless they’ve attended a show is that it has a 17,500 square foot stage that includes a three-story-high hill and other natural elements. The staging makes attendees feel as if they have been transported to the land where these horses cavort instead of the other way around. Entry is through the parking gates on East 18th Drive. For tickets and other information call (866) 999-8111 or visit Cavalia. The Joffrey Ballet is doing ‘Global Visionaries,’ a tribute to several choreographers that includes the world premiere of a piece by Swedish choreographer Alexander Ekman and the Chicago premier of a ballet by Russian choreographer Yuri Possokhov. Also showcased is Dutch choreographer Annabelle Lopez Ochoa’s ‘Mammatus. 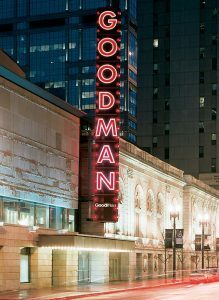 The program is at the Auditorium Theatre 50 E. Congress Parkway, Chicago. For tickets and other information call (312) 341-2310 or visit Auditorium Theatre. Chicago goes from baroque and Broadway to bacon this week. If you haven’t made plans yet for tonight, March 27, 2017, the glorious sounds of Music of the Baroque will fill the Harris Theater for Music and Dance. The program is at 7:30 p.m. but there is a concert lecture across Michigan Avenue at the Chicago cultural Center at 6 p.m. The Harris Theater is in Millennium Park at 205 E. Randolph Dr. For tickets and other information call (312) 551-1415 and visit Harris. Whether or not you made it to the Lyric to see the fabulous Chicago Voices Concert, you can see the concert on WTTW Channel 11 at 9 p.m. Thursday, March 30. 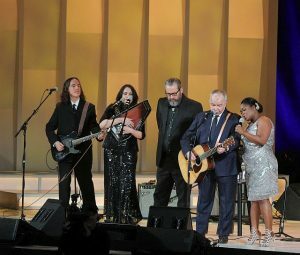 The concert features famed opera singer Renée Fleming, Blues Queen Shemekia Copeland, Broadway star Jessie Mueller, jazz vocalist Kurt Elling, tenor Matthew Polenzani, gospel, pop and everything else singer Michelle Williams, folksinger John Prine, the indie folk group The Handsome family and the Trinity Mass choir. Visit Chicago Theater and Arts for the concert review and go to Chicago Voices for other information. OK, listen up bacon lovers. Chicago has a Baconfest Friday March 31 and Saturday, April 1. Chefs from local restaurants will be tempting your taste buds and satisfying your bacon cravings at the IC Forum, 725 Roosevelt Rd. for tickets and other information visit bacon. The atmosphere inside the PrivateBank Theatre was electric March 15 as hundreds of Chicago high school students filed in to watch their peers perform on the “Hamilton” stage. It was the third of what would be 10 student performances during 2017. 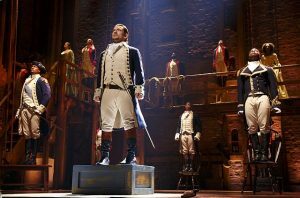 By the end of a special education program tying “Hamilton’” to their American History studies, 20,000 Chicago high school students will have seen their peers perform in the morning followed by a regular Hamilton matinee. What would Clarence Darrow think? Maybe Clarence Darrow’s ghost will appear. But even if you don’t see him, you will hear how his view of populism differs from what is being expressed by today’s politicians when the Annual Clarence Darrow Symposium takes place March 13, 2017. The Clarence Darrow Bridge is behind the Museum of Science and Industry. City of Chicago MSI photo. Titled “Robber Barons & Populists: Would Clarence Darrow recognize today’s Populism,” the event begins with a commemorative ceremony at 10 a.m. near the Clarence Darrow Bridge behind the Museum of Science and Industry (where you might see the ghost). Darrow died March 13, 1938. Ceremony guests include Ald. Leslie Hairston, activist Bernardine Dohrn, ACLU of Illinois Associate Legislative Director Khadine Bennett and Gene Winkler, adjunct faculty at the Divinity School, University of Chicago. John A. Farrell, author of “Clarence Darrow: Attorney For The Damned,” will speak in the Museum of of Science and Industry’s Rosenwald Room beginning at 10:45. Refreshments will be served. For more information visit Darrow Bridge. Author Jodie JacobsPosted on March 10, 2017 March 10, 2017 Categories Events, MuseumsTags Clarence Darrow, MJuseum of Science and IndustryLeave a comment on What would Clarence Darrow think?